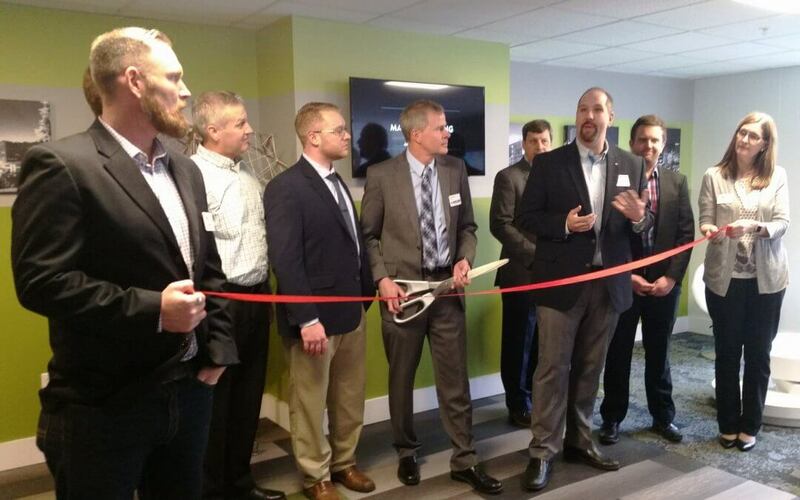 South Bend, IN- Ancon Construction, premier design build construction firm, held a ribbon cutting ceremony to officially open their new downtown South Bend office. 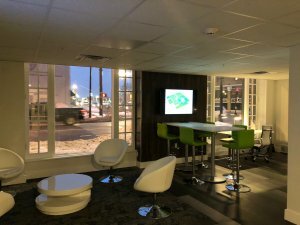 Located inside the newly renovated mixed use building The LaSalle the office has premiere corner street level visibility set inside the historic LaSalle building. Although the office is inside a historic building the design is ultra modern and minimalistic. Matt VanSoest, graduate architect, researched office spaces like Tesla and Google and used that for design inspiration. 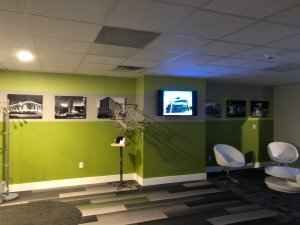 Local artists have donated some sculptures and historic photos of downtown South Bend have placed them throughout the office. 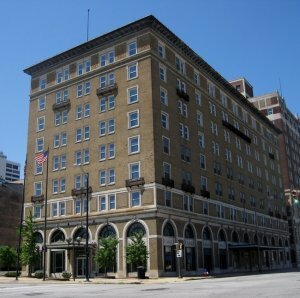 Why downtown South Bend? For over 40 years Ancon Construction has served South Bend, Mishawaka and the entire St. Joseph County region. Nearly everyday there is an Ancon Construction employee in the region working on projects. “We have a known presence and excellent reputation in this region….now we have the physical location to match. The revitalization of the downtown corridor is exciting. 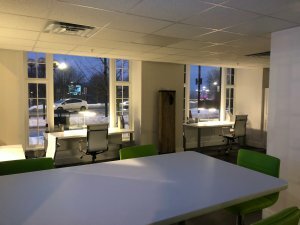 Many of the projects that started the downtown revitalization Ancon Construction were a part of, so South Bend seemed like the natural choice when we looked at potential locations.” noted Ryan Kring, Vice President of Business Development. Ancon Construction is not the only tenant in the building, recently The Hideaway opened. The Hideaway is a 1920’s speakeasy steampunk whiskey bar that was designed and built by Ancon Construction. South Blend, a new coffee house, is also under construction and will be opening its doors in the next few months. We have been building this region for over 40 years and we look forward to the next 40. Are you ready to start your project? Click HERE and let’s get your project started….together.